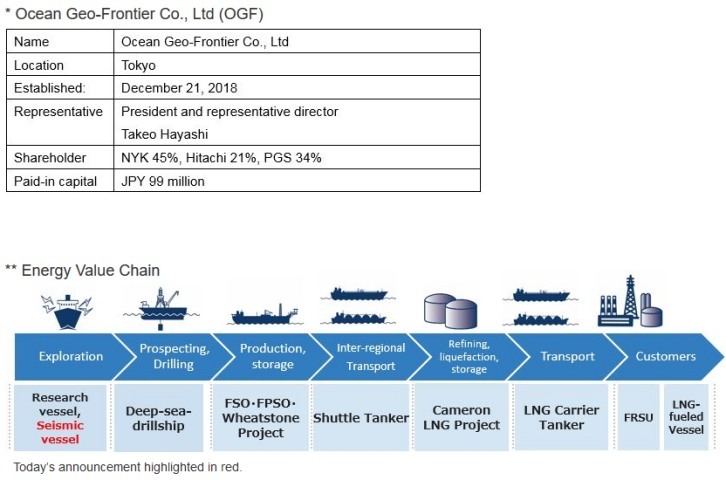 Today, Ocean Geo-Frontier Co. Ltd (OGF),* which is jointly owned by NYK and others, signed a consignment service agreement with Japan Oil, Gas and Metals National Corporation (JOGMEC) for geophysical surveys to be conducted by a three-dimensional geophysical survey vessel (seismic vessel). 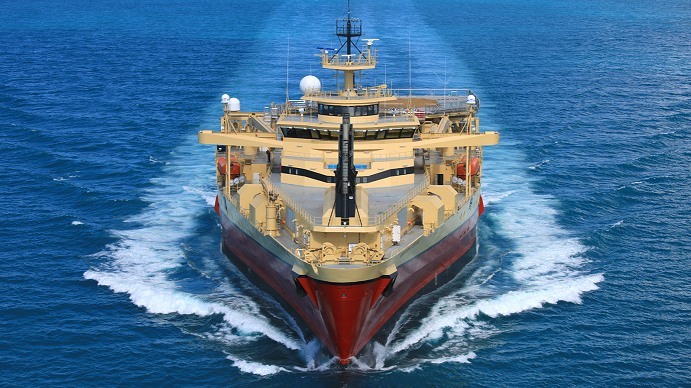 Through OGF, NYK is entering the geophysical survey business at the most upstream part of the energy value chain** and making efforts to accumulate experience and technical expertise in new fields, as well as expanding the business by concluding contracts for surveys. In accordance with its medium-term management plan “Staying Ahead 2022 with Digitalization and Green,” the NYK Group will continue to provide a wide range of services to the entire energy value chain in response to changes in energy demand and to secure a stable-freight-rate business offshore. An electronics manufacturer that has data processing and data management technologies, etc. A focused marine geophysical company providing a broad range of seismic and reservoir services.